Award-winning bar owner Mikey Enright has joined forces with beverage entrepreneur Steve Cooper and Bowral-based artist Alan Walsh to launch a new range of premium craft mixers. The Artisan Drinks Company’s range of four unique mixers have been created to enhance the flavours of boutique spirits. They’re made using 100% natural ingredients and bottled locally. The range includes three tonics – Classic London Tonic, Skinny London Tonic, and Violet Blossom Tonic – with a Barrel Smoked Cola also slated for release in the near future. The tonics are available now via premium spirits distributor, Noble Spirits, and through major on-premise suppliers Paramount, Gateway and Liquid Specialty Beverages. “I know how important mixers are to the quality of a great cocktail or gin & tonic and I wanted to create a range which really complements the character of premium spirits,” says Enright. “Balance is everything in cocktails and each Artisan recipe has been designed to work with the flavours of some of my favourite craft gins, with our barrel smoked cola also pairing perfectly with some great bourbons and spiced rums. Enright’s bar The Barber Shop, recently named Bar of the Year at the 2018 Australian Liquor Industry Awards (ALIA), is already serving up cocktails and G&Ts with the mixers, and the list of bars and restaurants also using them includes Enright’s other venue The Duke of Clarence, Pelicano, Rosie Campbell’s, Campari House and The Soda Factory. 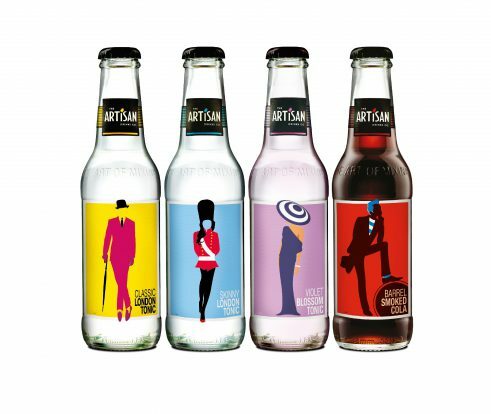 The Australian roll-out of the brand follows The Artisan Drinks Company’s launch in the UK late last year.